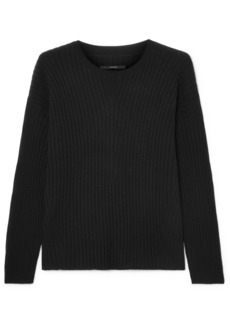 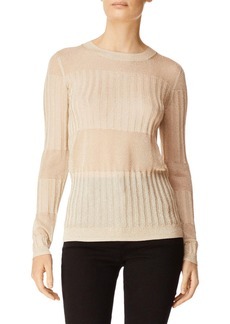 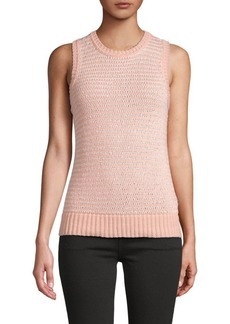 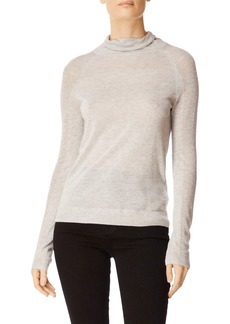 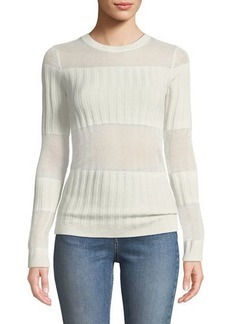 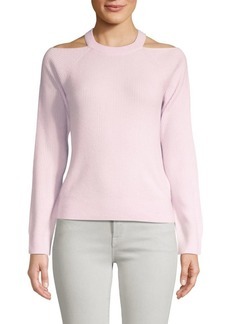 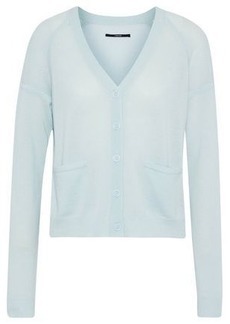 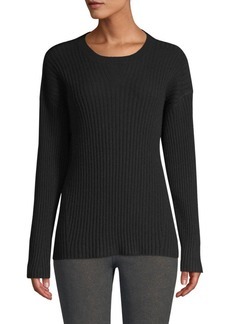 A wool and cashmere blend lends luxurious comfort on a relaxed cocoon sweater with fine horizontal ribbing. 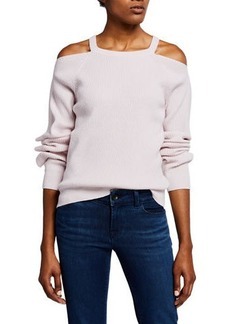 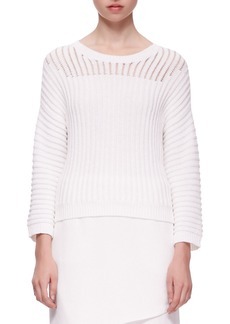 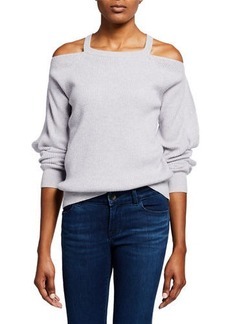 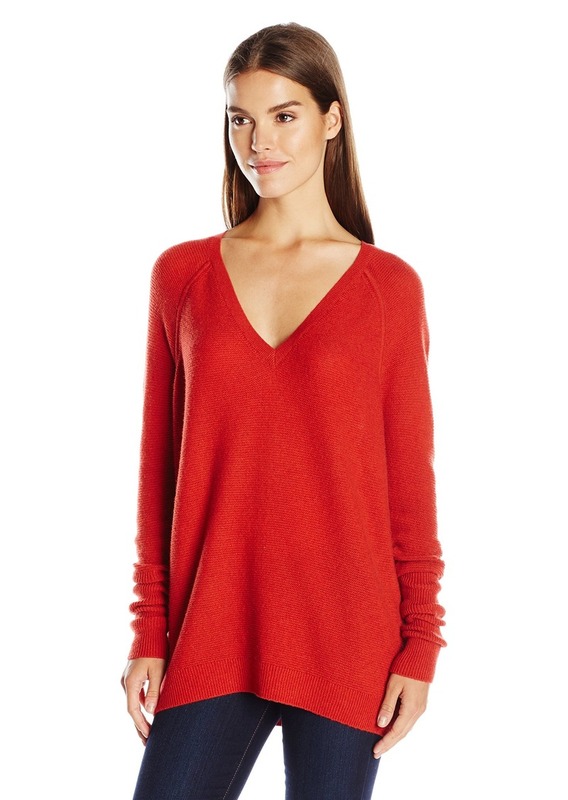 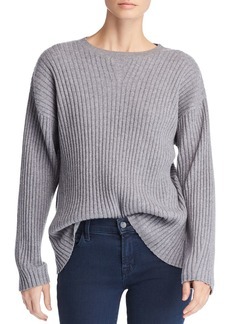 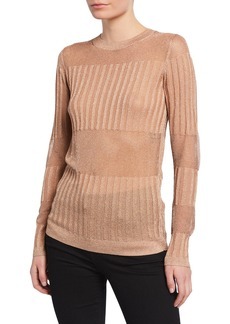 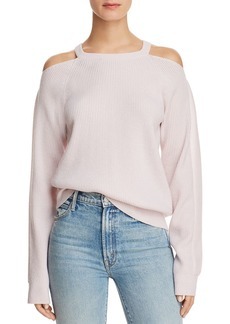 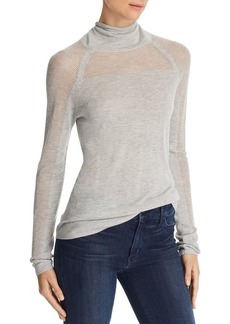 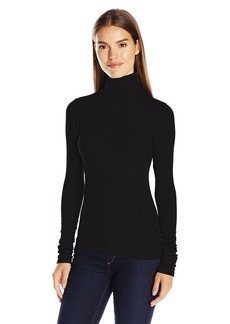 Elongated ribbed sleeves for added shaping. 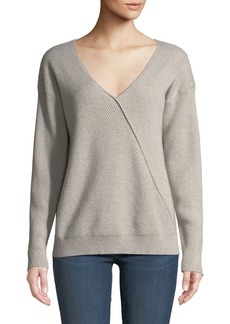 Deep v-neck.